Pantone Marsala was the pick for 2015 and became a big trend in the design world. Now creatives around the world are finding inspiration in everyday items and having fun at the same time, matching food to Pantone colours. 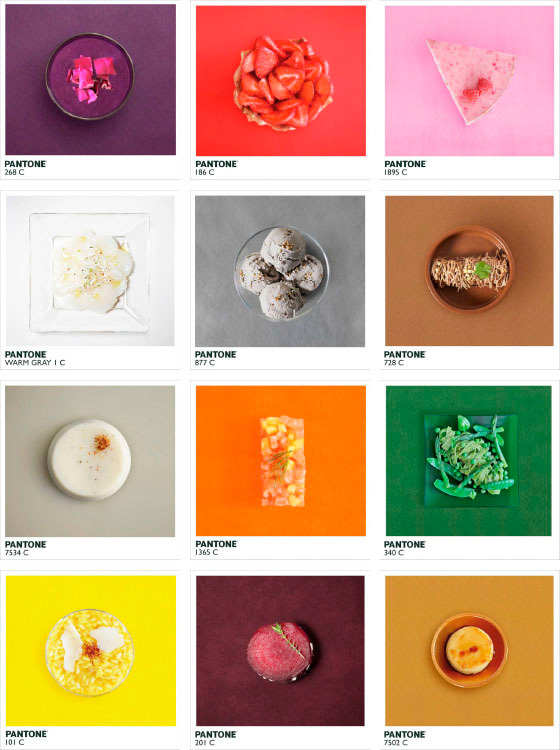 Another art director is having fun associating food with their matching Pantone colour to create beautiful culinary photos. 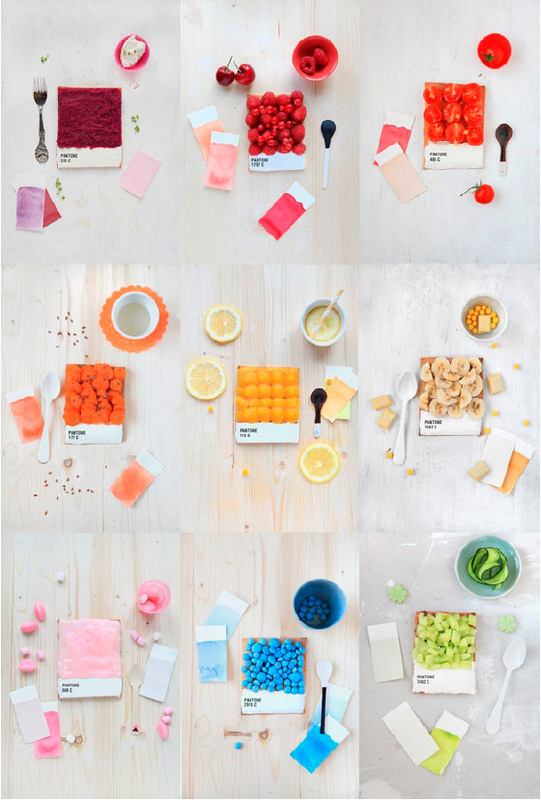 Pantone-inspired dessert tarts combine interesting food and colours. The tart base is covered in white icing and the pantone colour is formed from various fruits, candies, vegetables and other vibrant foods. As we get closer to the end of the year, everyone seems to be falling over each other trying to meet deadlines. We not only take on big projects, but also assist with overflow in a variety of areas – including impo and repro, and handling the little nitty gritty technical details you would rather like to avoid. Fruits and flavours, designs and ideas that really pop! We thought these were fun and to the point. In this day and age, shelf impact is not all that a brand needs to achieve success. It needs to connect with consumers both off- and online as well as have the courage to push the limits to stand out from the competition. 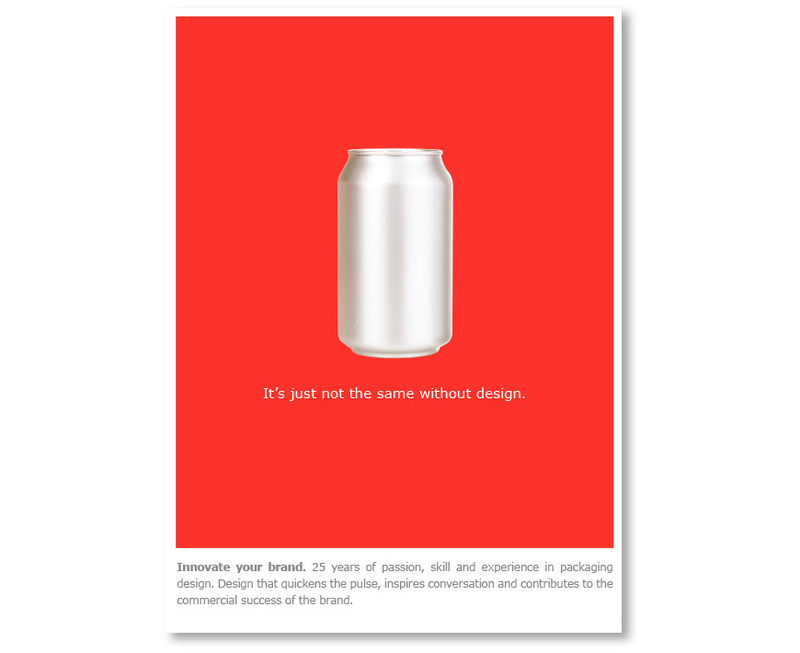 Brands should tap into the fundamentals of great design in imaginative and creative ways. Created in Hollywood where image is everything, BLING is a couture water. Wine-inspired, frosted glass bottles are cork-sealed, handcrafted and encrusted with genuine Swarovski crystals. No two are the same. Took a step back and looked at the market of craft beer. Everything on the shelf seemed to be screaming as loud as possible to be noticed – so they took the opposite approach: A black label on a black bottle with a prism foil. The description is set in blind-embossed morse code. BUTCHER THICK CUT BACON A great example of going bold on packaging with typography. This premium product lacked shelf distinction until the brand team strategically worked to repackage it focusing on what made it special. Using bold and thick typography and clean colours to make it as artisanal as the handcrafted butcher’s cut. LESS WINES They sought a way to make fine wine accessible to all. Wine lovers personally fill their bottles directly from oak barrels. Each bottle is etched with the LESS logo. The label is die-cut with the logo and has a single droplet of wine. LESS is more. Our DTP team is accustomed to working on large ranges of artwork with tight deadlines. A Christmas or Easter range of over 150 SKUs is a normal day at the office for us. They created a series of packaging by imitating pages of an encyclopedia to tell the secrets of each kind of tea in detail. The uniqueness is the combination of classical with modern, showing botanical illustrations with infographics. “Local is Lekker” is a common South African phrase meaning things closest to home are often the best. How many of the products below do you recognise? They have been around for years, and yes, they are all proudly South African. Still popular today, Peck’s Anchovette has been around since 1891. Chappies was created in South Africa in the late 1940’s and was sold at 2 pieces for 1 cent. Not much has changed over the years. 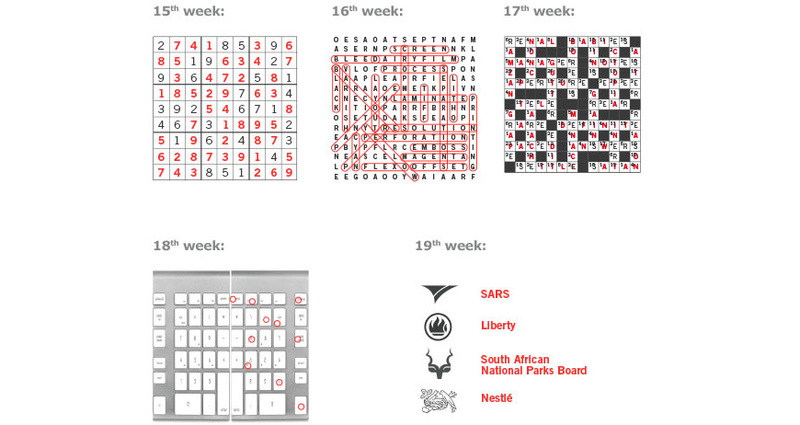 Still the same red lion logo and black copy but unmistakably South African. Still a popular breakfast cereal today, even though it started out in 1930. Freshpak Rooibos Tea is uniquely South African and grows exclusively in the Cedarberg region of the Western Cape. 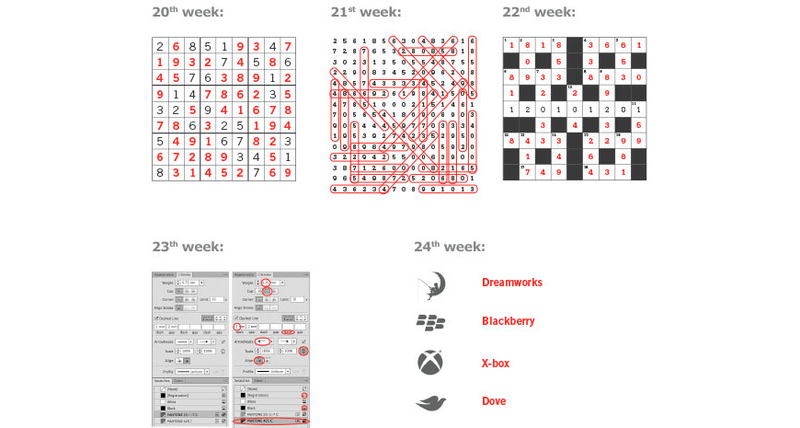 See how the packaging has evolved over time. Calibre prides itself on industry-related expertise and dealing with a variety of technical printing requirements. This means that we can come alongside existing design agencies within a company to handle the Finished art process. 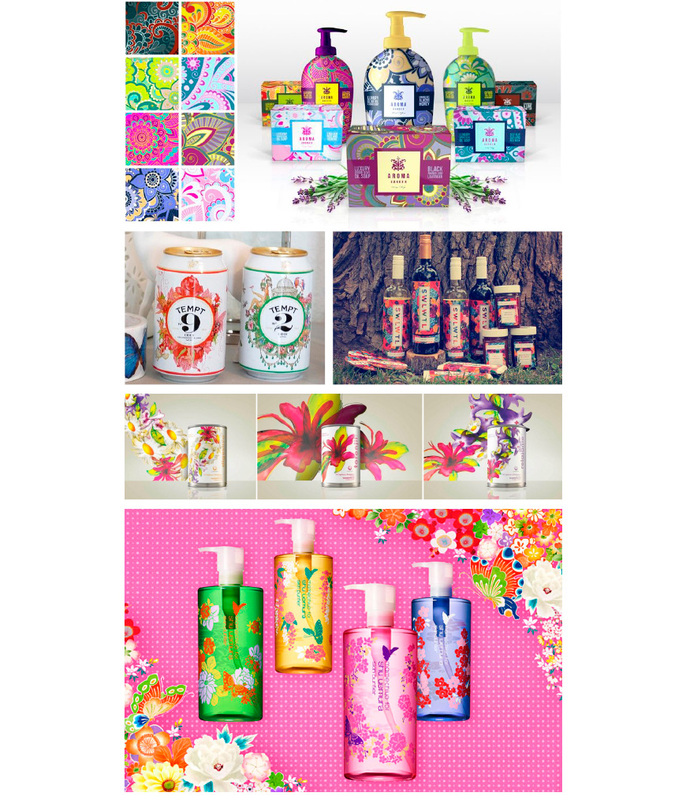 In the spirit of Spring, we are showcasing some bright and colourful packaging with a floral influence. 082 781 6268 to get your copy. Veuve Cliquot – the envelope box, Clicquot Clutch and Clicquot Express. Farrah’s Wraps – an example of designers and printers working together to create a clever design. Foodscross – this Greek honey distinguished itself from the market with its signed and numbered vases. Luxe Soap – enveloped in a paper engineered box, consisting of multi-layered, intricate diecuts that create an illusion of depth. Karu Beer – the beer underwent a complete rebrand to embrace the heart of the brand – the confident, tough inner strength of the bear. 1st place – Student packaging concept Trident Gum – an amusing, fun, playful and interactive packaging concept. Calibre Brand Solutions is now a proud member of the Printing Federation of South Africa (PIFSA). We have signed and undertaken a pledge to abide by the association’s code of ethics and follow the values as prescribed by the association. No matter how small the action, Mandela Day is about change the world for the better. This year Calibre decided to make goodie bags for the children at Iris House Childrens Hospice. Their mission statement is: “To provide loving, professional, free community based care for special needs children with life threatening illness or life limiting conditions.”We love what they are doing. Here are a few pics of our staff making goodie bags and delivering to them. Please feel free to share or like what you did, on our facebook page. If you have not received your calendar yet, please contact Angela at angela@calibrebrandsolutions.co.za or on 082 781 6268 to get your copy! Colour ● Shape ● Images and photography ● Words. 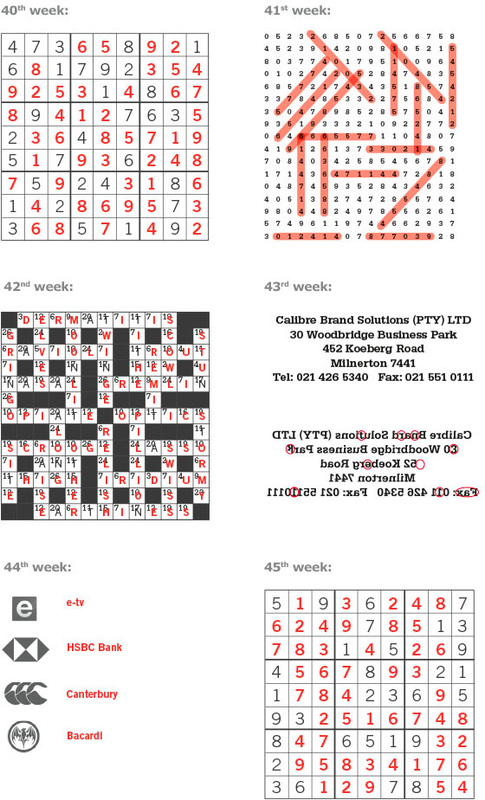 Did you know that Calibre Brand Solutions opened its doors in 1990? 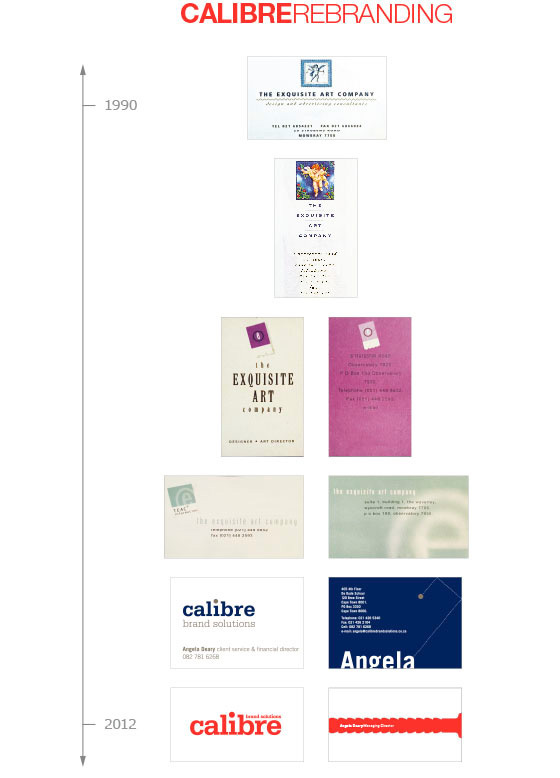 Originally known as The Exquisite Art Company, the name was changed and the company rebranded to Calibre Brand Solutions in 2008, so as to better represent our core business. 18 JULY 2015 – What will you be doing? Share your Mandela Day pics with us on our Facebook page. We would love to see how you spent your 67 minutes. From foils to glitter and holographic film, below are some packaging designs that show how different effects can be used to give an exquisite finish to a product. We understand different types of substrates – whether it be paper, plastic or glass – and their capabilities and limitations. So we ensure that our designs and artwork work within these parameters and this includes a variety of special print finishes. This month we have had a look at some quirky and fun packaging ideas centred around products for pets. Capturing the theme from a dog’s perspective – packaging designed in the shape of a slipper for dinner and a newspaper for breakfast. Instead of using plastic bags which are harmful to the environment and cannot be recycled, Whitebites is packaged in recyclable paper – combining humour, aesthetics and a consciousness for the environment. Playful and discreet, these cleverly designed boxes fit in your pocket and the bags are biodegradable. Not only is the container made of paper, it is stackable and can keep leftover snacks fresh. No more unceremonious flushing of goldfish down toilets or cats being buried in old shoe boxes. These caskets are made of biodegradable cardboard. Every time we go into a shop, we are surrounded by packaging. 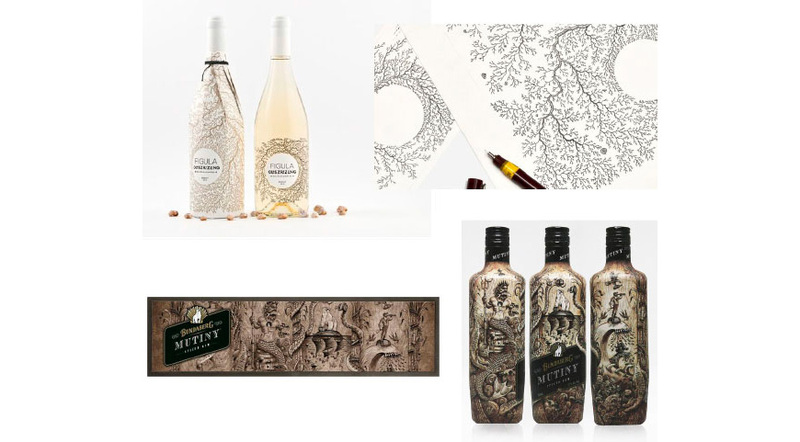 We found examples where the illustration was able to promote distinctive, unforgettable and beautiful packaging. We have one of the most sophisticated colour proofing systems. Our colour management workflows are set up according to ISO-120647-7 Contract Proof Creation Standard. We are able to produce hardcopy digital proof prints that are both colour accurate and can be used to match colour on the press; including Pantone® Colours. Optical illusions are fascinating! 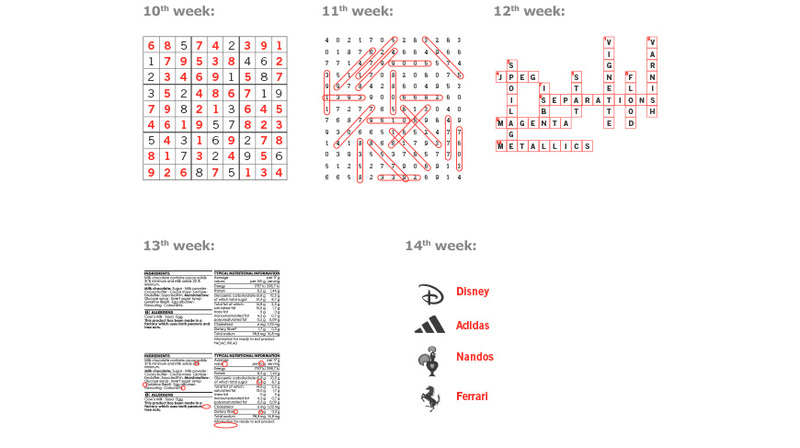 They also teach us about our visual perception, and its limitations. There are a vast variety of optical illusions, but they all work around the same basic premise: tricking the brain. By being intriguing yet entertaining, optical illusions are sure to stick in the minds of those who see them. They can be the perfect addition to any company branding. 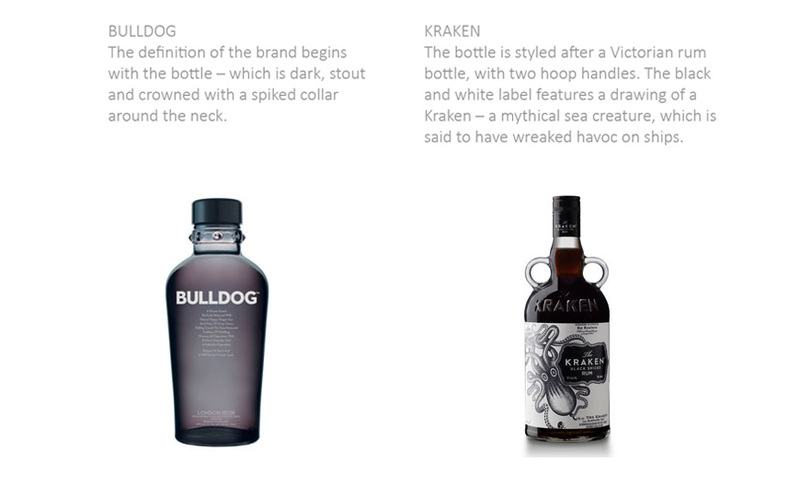 This month we have a look at some unusual shapes in bottle designs. Whether it be for a limited edition, special occasion or to relaunch a product, companies have had some innovative ways of bringing their message across in their product. An interesting design for a bottle of Samurai Vodka was posted by Arthur Schreiber to showcase his bottle design. This product does not actually exist, but it would be great if it did! 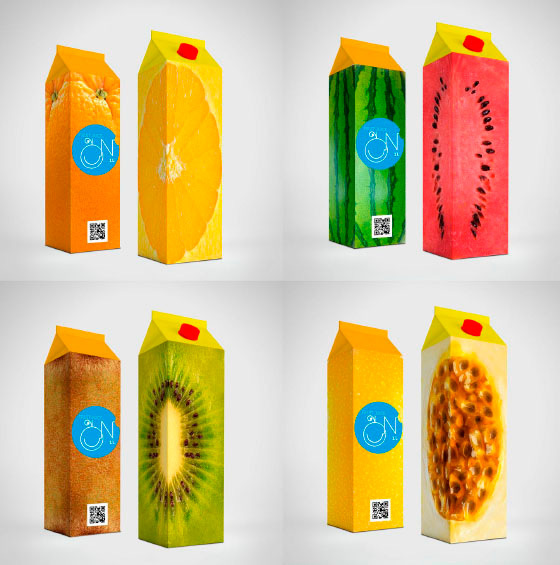 These packaging designs are inspired by Mother Nature. A spiraling pristine white conch shell, a stalk of lush green bamboo and a stack of smooth ebony river rocks were chosen to make three different fragrance bottles. The basis for the concept is the synthesis of natural form and shape of the bottle. We understand different types of substrates, whether it be paper, plastic or glass. We work within the capabilities and limitations to ensure that our artwork looks as good as it did at design stage, on the finished product on shelf. Colour plays quite a significant role in purchases and branding. Research has found that up to 90% of quick decision-making has been made about products based on colour alone and that the relationship between brands and colour, is governed by the perceived appropriateness, in other words, does the colour “fit” it’s product? 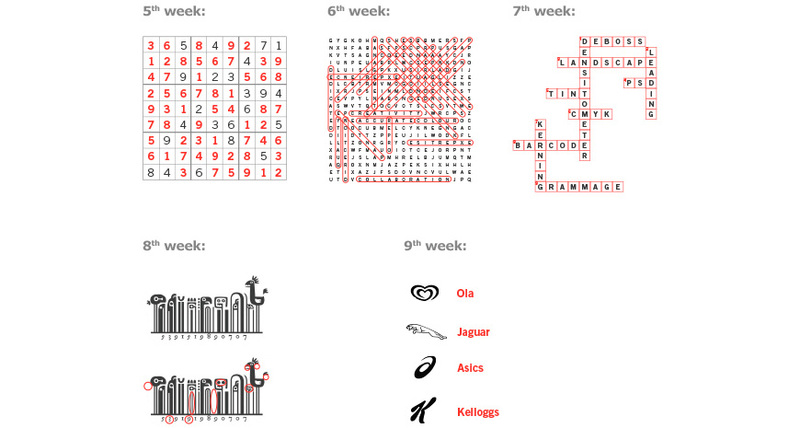 This perception greatly influences how consumers view and purchase a specific brand. For example, who would want to buy a Harley Davidson motorcycle if they didn’t get the feeling that a Harley were rugged and cool? 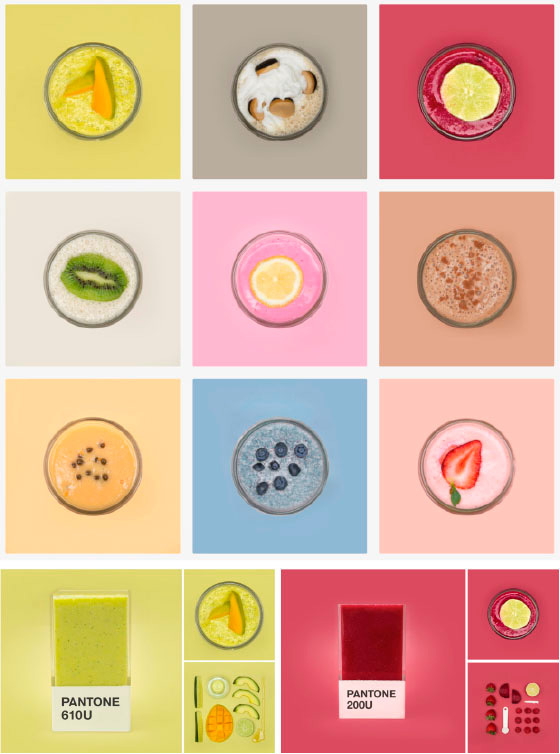 When it comes to picking the “right” colour, predicting consumer reaction to colour appropriateness in relation to the product is far more important than the individual colour itself. So, if Harley owners buy the product in order to feel rugged, you could assume that a pink glitter edition would not sell well. Additional studies showed that our brains prefer recognisable brands, which makes colour vitally important when creating a brand identity, which is why new brands should target logo colours that are different from existing competitors and not similar. 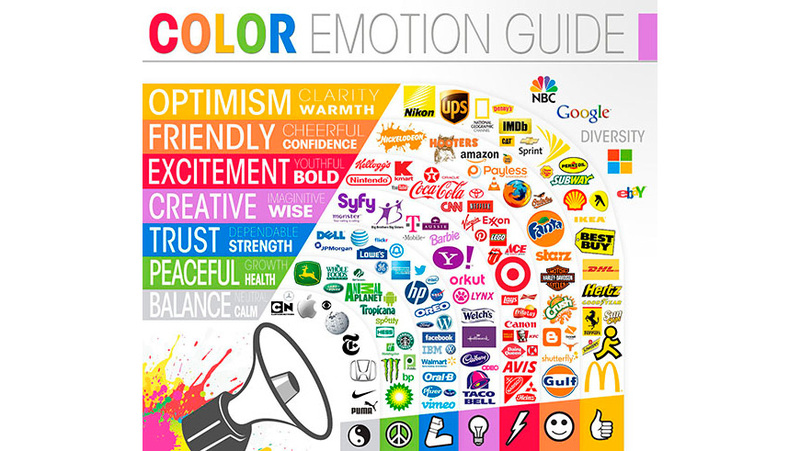 There is a real connection between the use of colour and the customers’ perceptions of a brand’s personality. 082 781 6268 to get your copy! 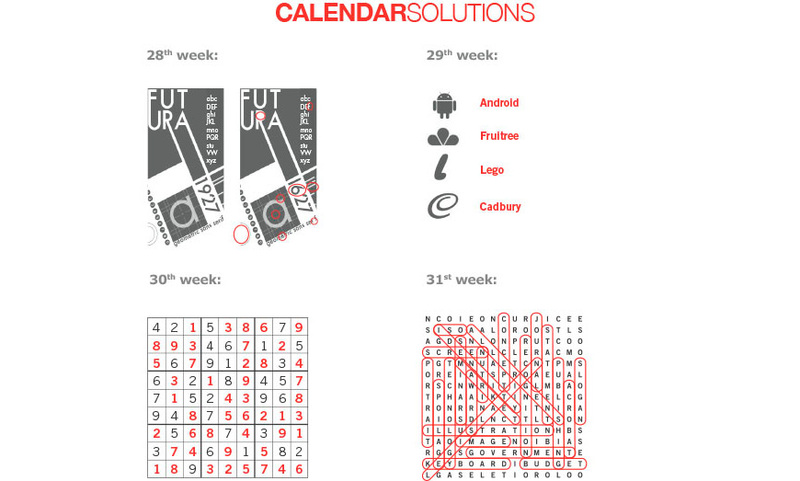 Calibre celebrates it’s 25th anniversary of passion, skill and experience this year! We believe in the notion that “There is no substitute for hard work” [Thomas Edison]. Consequently, we attribute success to the appetite we have for that discipline. 25 years, a significant milestone, one that we are proud of in a sector that is constantly ever-changing. We are dedicated in evolving, with the stronghold of our visionary and collaborative thinking team that maintains relevance and will take us into the next 25 years. 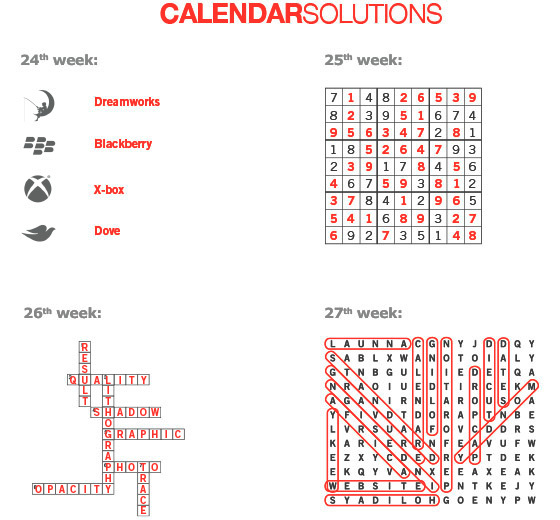 For those of you that have received our 2015 calendar, you will have noticed that every page has a brain teaser, crossword or puzzle to solve. 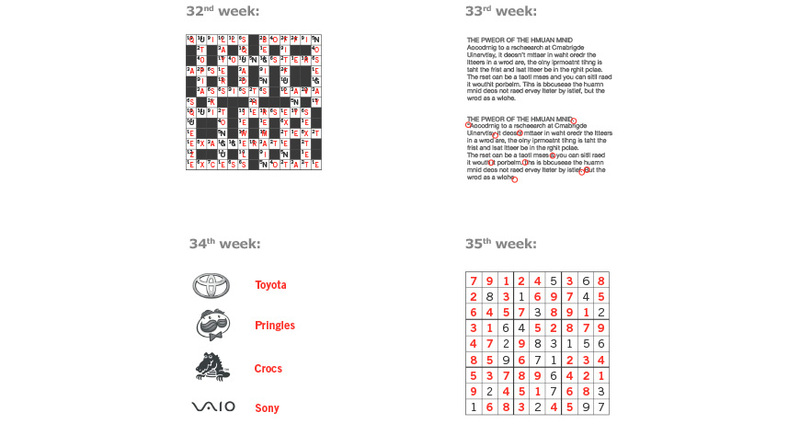 Here are the solutions to the puzzles for weeks 5 – 9. 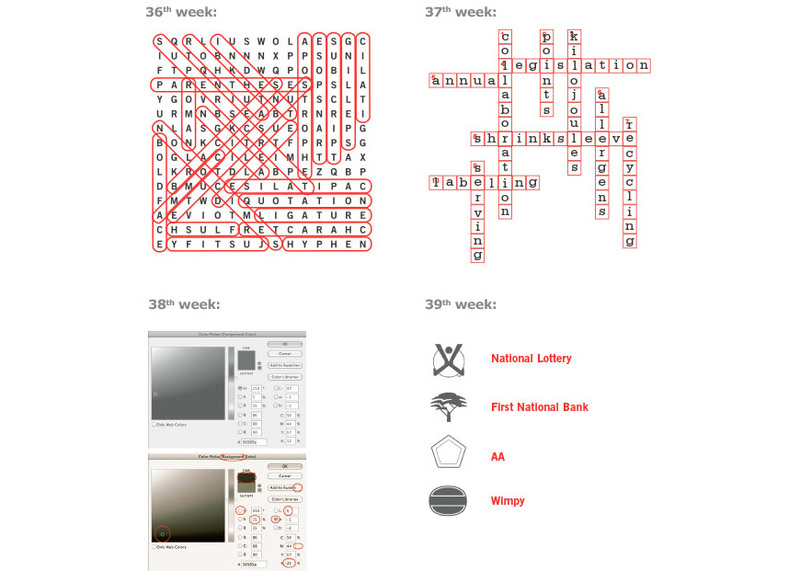 Look out for solutions to more puzzles every month. on 082 781 6268 to get your copy! Marsala is the new Black! This is according to Pantone® who have named Pantone® Marsala 18-1438 as the colour for 2015. It is also the foundation for the Spring/Summer 2015 palette. For 15 years, Pantone® Colour of the Year has influenced product development and purchasing decisions in multiple industries, including fashion, home and industrial design, as well as product packaging and graphic design. Marsala is an ideal colour for use in packaging because although not being a bright, overwhelming colour, its richness makes it alluring at point-of-purchase. We believe in cost-saving and where possible, we make recommendations regarding substrates, use of colours, special effects, such as varnishes and foils, that could impact on the print cost and pass these suggestions and ultimate savings back to the client. 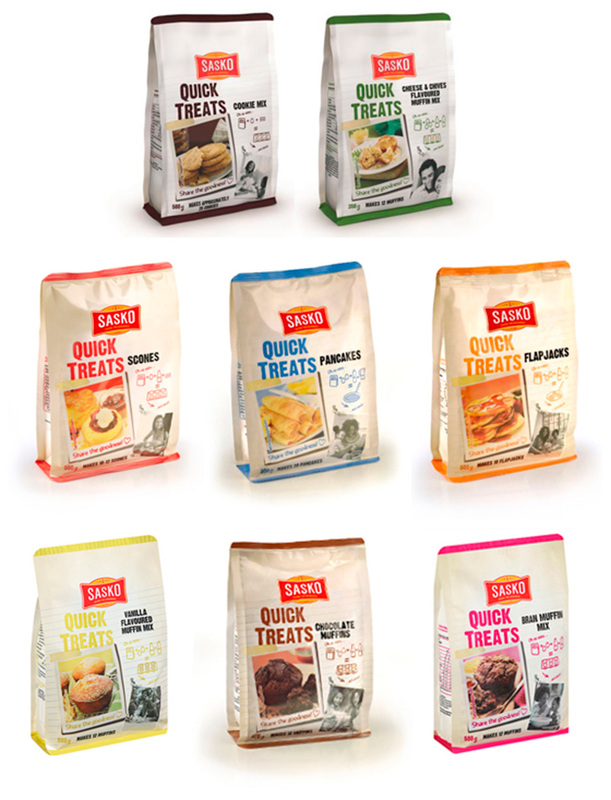 Sasko recently launched two new delicious Quick Treats products namely Cheese & Chives Flavoured Muffin Mix and Cookie Mix when they upgraded their existing packaging lines. Every variant in the Sasko Quick Treats range makes a mouth-watering recipe in half the time it would ordinarily take. Calibre was asked to review the packaging and was involved in ‘refreshing’ the Quick Treats Range. Updating of various icons and images on the packaging to make it easier for the consumer and ultimately a more shopable product. 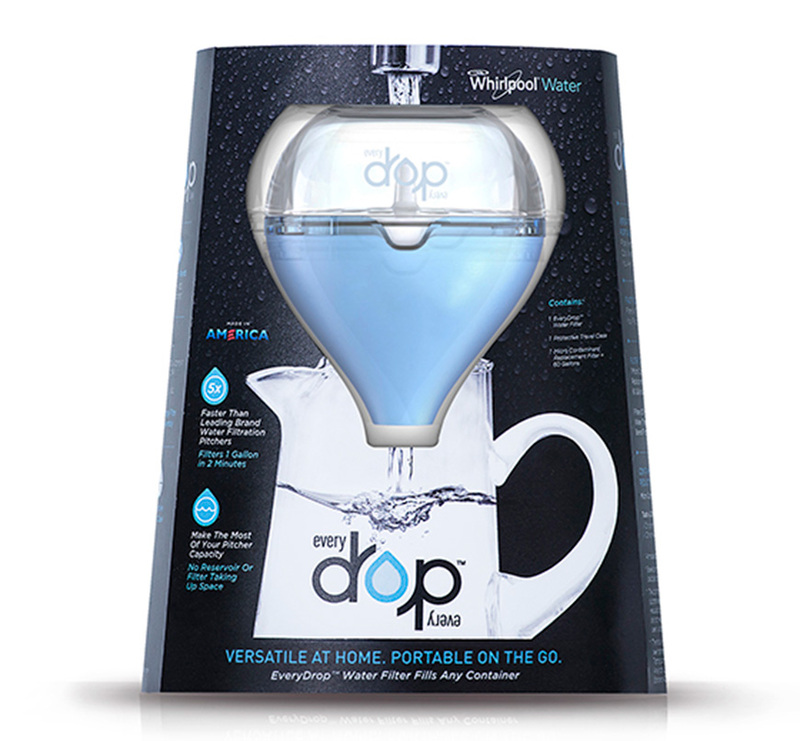 Sonoco Display and Packaging has been recognised with a WorldStar 2015 Packaging Award for its Whirlpool® Water EveryDrop™ water filter package by the World Packaging Organisation (WPO). This new-to-the-market product reinvents packaging for on-the-go water filters. The water droplet shape of the clamshell cavity positions the filter so the outer graphics clearly communicate what it is, how it works and the many ways to use this innovative product. Additionally, the outer printed sleeve attracts shoppers to a 3-D printed water droplet effect and refreshing graphic colour scheme. 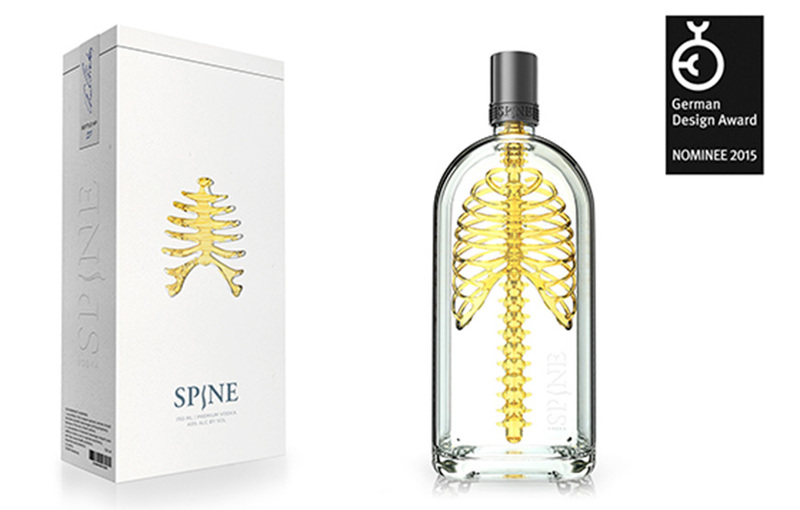 Spine Vodka was a private project by Johannes Schulz after his graduation from an international communication design school in Hamburg, Germany. Taking the name of the brand literally, he created a widened bottle that holds a spine with full ribcage to communicate a product with a “backbone”. He kept the rest of the bottle design simple so as not to distract from the intricacy of the glass human skeleton. A drink that lives up to its promise – honest and strong, and the transparent glass stands for a product that doesn’t have anything to hide. This Concept is a Nominee for the 2015 German Design Award. 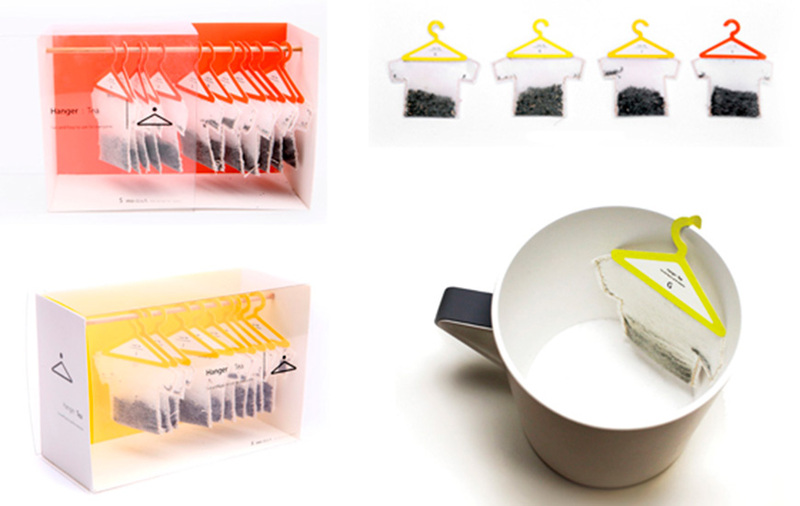 A fun take on how the simple notion of hanging teabags on the rim of your cup can be done. Different types of teas are differenciated by different colour hangers. Gloji Mix is boasted as one of the healthiest drinks available. 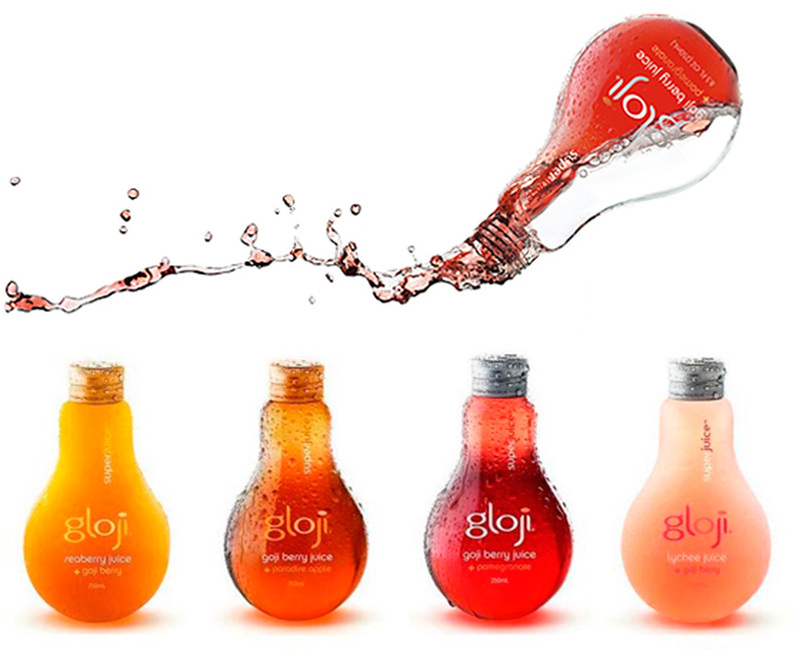 Each bottle of Gloji Mix is said to contain juice from hundreds of berries, as well as from pomegranate, which is rich in vitamins and minerals. Gloji’s primary claim to fame however, is the unique light bulb shaped bottle it comes in. This style is meant to represent Gloji’s ability to “light you up” from the inside out.